I’ll close out my series of March 2016 posts from Tucumcari, New Mexico with these three final shots of iconic sites along Route 66. 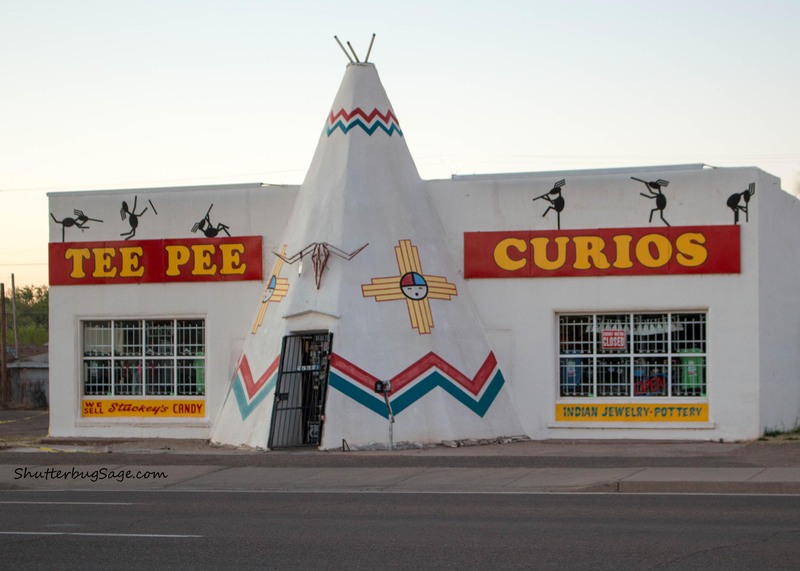 Tucumcari’s Tee Pee Curios shop is the last one along Route 66. 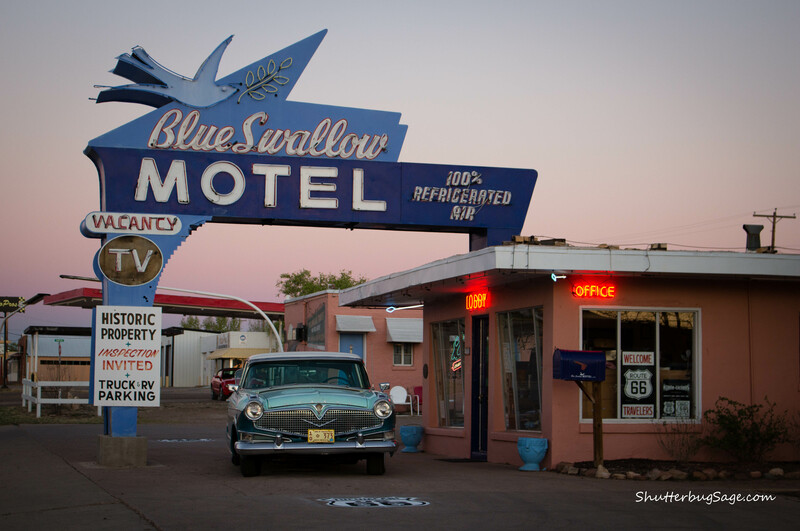 Listed on the National Register of Historic Places, the Blue Swallow Motel sits on Route 66 in Tucumcari, New Mexico. I’m so glad that the weather was much better than my last time through in 2013! 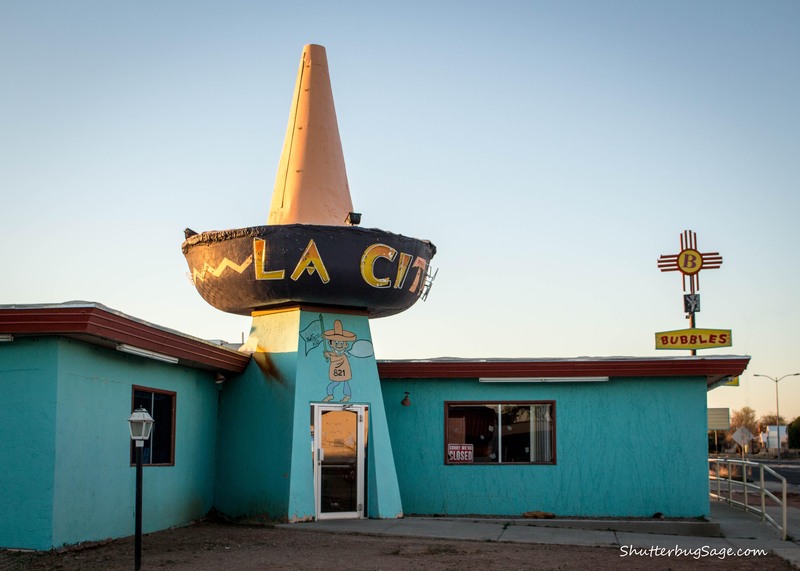 Serving Mexican food under a giant, cement sombrero, La Cita has been a Route 66 icon since it opened in 1961. This is what it looked like back in the day.